Nature lovers dream! 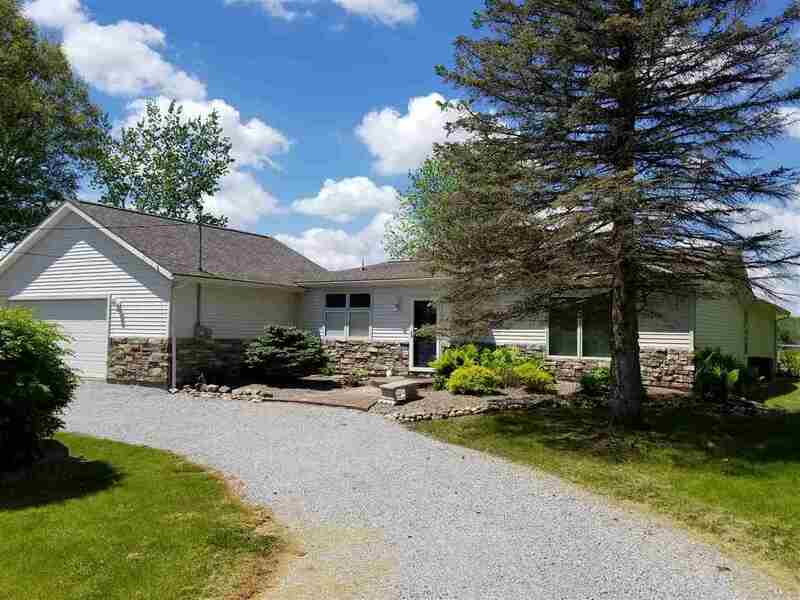 Take in the beautiful views from all directions on this 2.56 acre lot. The master suite will amaze you starting with the wall of windows overlooking the lake, hardwood floors, cathedral ceilings with plant ledge, access to the sunroom, and en suite with tile shower, jetted tub, granite countertops and makeup station. Other features include: gorgeous kitchen with all stainless appliances (wall oven, microwave, cooktop, ref, DW), granite countertops, walk in pantry, slate floors, all new paint throughout, new carpet on stairs and loft, hardwood floors in GR and 2nd bedroom, Jack N Jill bath, Security System, 2 fireplaces, Travertine floors in 2nd bath and sunroom, decks off GR and Master and decks off the other 2 bedrooms, 2 car attached garage plus detached garage. House and detached garage both have new roofs. Age of home is the original structure. Additions on crawl done in 2009.